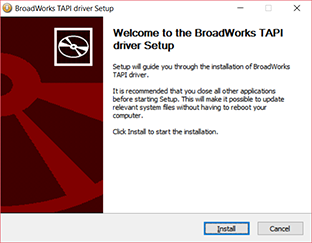 This document will guide you through the process of Installing and configuring Broadworks Go TAPI. First download and launch Broadworks Go TAPI Installer. 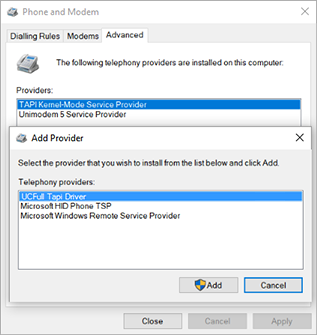 Once the installation has completed, you will see the Go TAPI x64 has been added to the list of telephony providers in Phone and Modem (Control Panel > Phone and Modem > Advanced). You should also see the TAPI Tray Monitor icon has appeared in the system tray. 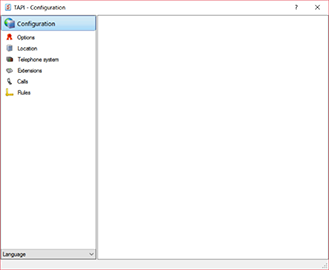 To configure TAPI, right-click on the TAPI Tray Monitor and select "Configure TAPI driver". Note: Start the Go TAPI Service requires PC administrator rights. Note: In some instances Remote Access Connection Manager may interfere with Go TAPI and it is advisable to disable the service.